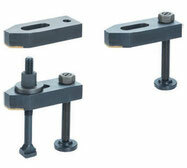 Toggle clamps are special fastening tools , which build stable mechanical connections with minimum physical effort. 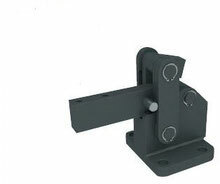 These mechanical clamping elements are available in various different forms and fields of application. 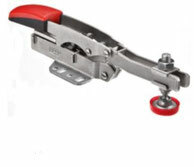 In general toggle clamps work with knee-levering techniques and are equipped with a self-locking function. 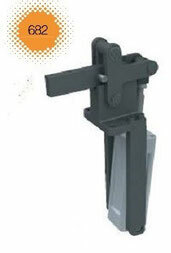 This self-locking function hinders unintended opening of the clamps and ensures safe and smoth application. Further Bessey products on request. 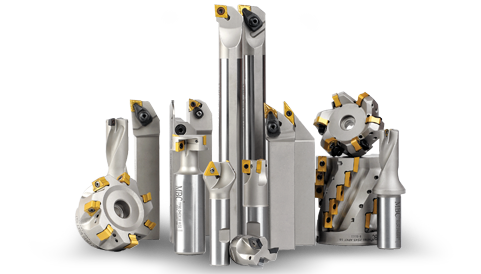 Manufacturing technology and supply you with quality tools of all kinds for turning, drilling and milling, etc. Our Toggle clamps, horizontal toggle clamps and vertical toggle clamps are perfect for further processing of components in the metall, wood and synthetics industry. 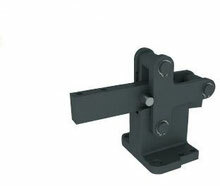 Vertical toggle clamps have a vertical retention arm. 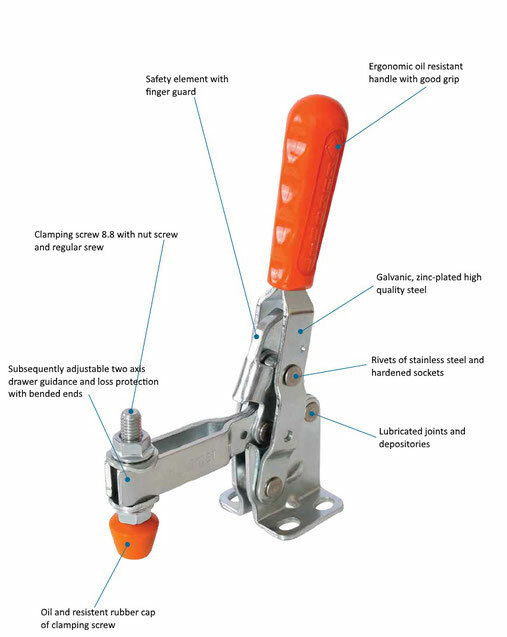 The primary task of hook-type toggle clamps is secure fastening of containers and cases. 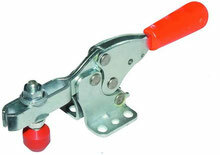 In case of larger distances push-pull type toggle clamps are applicable. 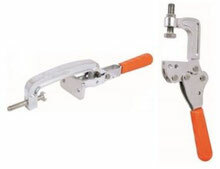 Unmounted clamps and adjustable clamping claws are convenient in gripping force and flexibility. 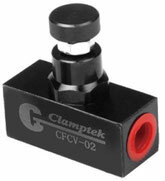 Clamping elements are designed to fix workpieces on millling machines and processing centers in a fast and secure manner. 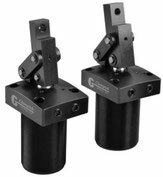 Pneumatic levering clamps are twice as effective and space-saving, just as well as pneumatic rotating clamps. 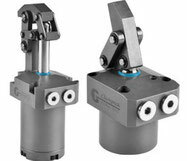 Pneumatic toggle clamps ease the use through machinery supervision. Manual clamps enable more sensitivity. 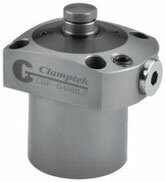 Robust, precise and high quality power clamps help machining processes. 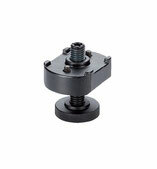 Stable Mounting in Every Position-Toggle Clamps Make it Possible! 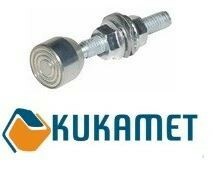 We offer clamping systems and clamping elements by KUKAMET, Bessey and other brands- high quality for several industrial purposes. The engineering drawings, figures and measuring charts of all assemblies and toggle clamps can be found under the regarding component description. Further questions or requests (e.g. for construction or 3D-drawings) can be submitted through the contact form with indication of model number or by telephone: +49 (0)2405 84781.